Malta property at first glance, looks like a pretty good spot for the British overseas property buyer. It’s in the sunny Mediterranean, it’s part of the Commonwealth, the cars are all driven on the left-hand side of the road and the locals can all speak English. All of which is quite handy, considering the fact that half of the country’s holiday-making visitors are British and a similar percentage of its foreign property-buyers come from the UK. The downside is that, unlike some of its Mediterranean counterparts, this small group of islands won’t exactly provide you with a bargain-basement place in the sun. 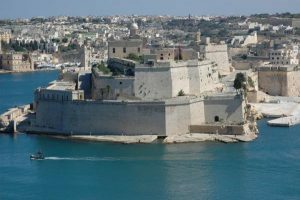 Malta has a strong domestic housing market and land on this collection of islands is at a premium, which means that a two-bedroom flat in somewhere like the UNESCO World Heritage city of Valetta could easily set you back around £150,000. On the plus side, Malta is among the cheapest places in Europe when it comes to the cost of living, and is also a country with no property taxes or rates. 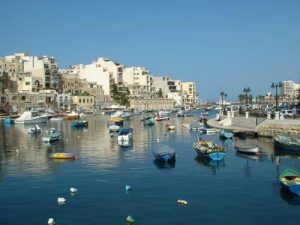 Furthermore, according to the European Mortgage Federation, the average rise in Maltese house prices last year was an impressive 18 per cent. And with cheap, no-frills flights to Malta on the cards in the near future, demand from overseas house-hunters looks set to increase. When it comes to buying a property, there are some pretty strict rules for overseas investors. Foreigners can usually just buy one property, which must cost at least MTL30,000 (£47,900) for a flat or MTL50,000 (£79,800) for a house. Britons, however, being members of an EU country, are allowed to buy one property without restrictions, plus another one for personal use, provided that it meets the above price requirements. Critics have drawn attention to the number of dilapidated houses being left untouched by homebuyers in Malta, which may seem surprising considering the lack of land. But with a crop of new developments springing up, buyers seemingly prefer to invest in these newly built properties than go for a potentially expensive renovation project. The range of properties on the island is also appropriate for anyone planning an investment and looking to make their property available for people taking holidays in Malta. Villas, apartments and farmhouses are just a few of the options that are more suitable to the tourist market.